Glance over cable news ratings for the past several months and a pattern emerges: CNN is no longer at the bottom of the big three. Such progress has been overshadowed — at least in terms of media coverage — by Fox’s continued dominance and MSNBC’s fading influence, but give CNN Worldwide president Jeff Zucker credit for bringing the oldest cable news channel back from the dead. He’s seemingly the cable news executive everyone loves to hate — no one took a harder punch to the gut over NBC’s Conan-Leno debacle than Zucker. But as we documented here back in 2010, he presided over huge successes for NBCUniversal’s cable side, turning USA Network, Bravo, Oxygen, and Syfy into ratings powerhouses. Before Zucker took over the Turner-owned network in January 2013, headlines about CNN generally focused on its “ratings tailspin” and its continued “failure” to rekindle its stature after having once been the hallmark cable news network. Several months before he began his tenure, the network put into place the beginnings of what would become Zucker’s signature mark at CNN: original programming. “If we only look at the competition set as Fox News and MSNBC, we are making a mistake,” he told The Atlantic in Dec. 2012, one month before taking over. “Our competition is anyone who produces nonfiction programming.” Since then, the network has amassed an impressive roster of original programming that now includes: Big name-helmed projects like Anthony Bourdain‘s Parts Unknown, Morgan Spurlock‘s Inside Man, John Walsh‘s The Hunt, Mike Rowe‘s Somebody’s Gotta Do It, Lisa Ling‘s This Is Life, Bill Weir‘s The WonderList; and original series like The Sixties, Finding Jesus, and Death Row Stories. Most of the series have proven to be ratings successes. Averaged out across their latest seasons of airing, all of their Sunday evening programs rank #1 in their respective time-slot’s key 25-54 demo rating. The only exceptions were the weeknight-airing series: Spurlock, Rowe, The Sixties, and Chicagoland — all of whom ranked #2 in the demo, still beating out MSNBC. The newer, younger audiences attracted to such programming has been a bragging point for CNN, which now boasts a median viewer age of 59 across all primetime programming, compared to MSNBC’s 63 and Fox’s 68. “The original series have allowed us to have fresh programming when there is a lull in the news cycle,” Zucker told Mediaite. Indeed, when put in that context, the success of the documentaries may help explain why CNN is no longer only successful during big breaking news. On that note, perhaps the bigger indicator of Zucker’s success has been the year-over-year ratings shift. As we reported last month, CNN’s weeknight primetime demo grew 15% from Q1 2014, the largest growth among the big three. When looking at first quarter year-over-year growth, CNN is also up 20% in total day demo, 11% in full week primetime demo, and 24% in daytime demo. Meanwhile, MSNBC experienced an astonishing 45% decrease in weeknight primetime demo viewers, and a 39% decrease in total day demo viewership. Underscoring that decline is how Zucker’s 2013 morning show creation, New Day, has defeated MSNBC’s Morning Joe (launched in 2007) in the demo and total viewers for three straight quarters. The slide has gotten so bad that Joe Scarborough has taken to bragging about his show’s demo victories among “elite influencers” (New York, D.C., Boston markets), as if that matters in the big picture. In primetime, CNN has gone from routinely finishing third (outside of breaking news weeks) to outperforming MSNBC in the key demo during the 7-11 p.m. hours for three consecutive quarters. Of course, CNN hasn’t caught up with Fox’s enormous ratings; but that was seemingly never the goal. Zucker never publicly set his immediate objective as topping Fox, unlike MSNBC chief Phil Griffin, who famously declared the peacock network would best Ailes & Co. by 2014. But what factors have helped CNN leap back into a consistent second place? 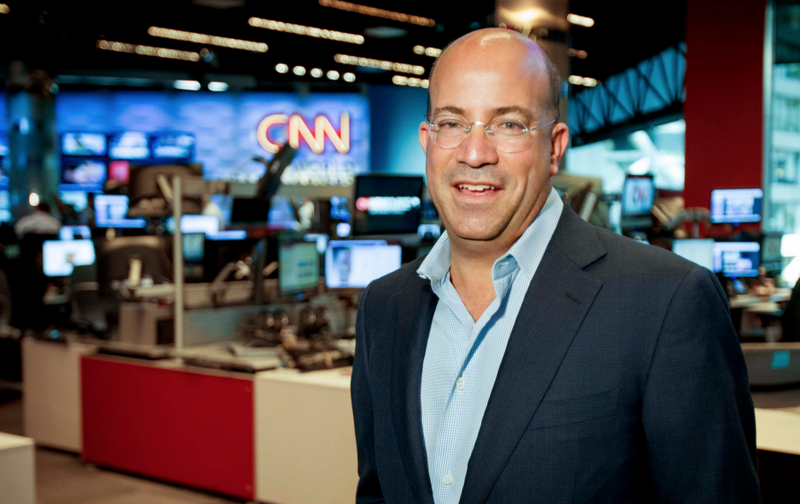 Zucker himself credits the network’s “tremendous commitment to news,” telling Mediaite that the team now does “more news programming — live news programming — than we did before I came here.” Whether it’s the crisis in Ukraine, the Middle East, Ebola, Ferguson, terror abroad, or airplane crashes, CNN is determined to be the destination for breaking news, capitalizing upon its global brand that also includes CNNInternational. Inside the Acela corridor’s media bubble, much mockery has been aimed at CNN’s incessant coverage of last year’s MH370 crash, and some of the goofy speculation that arose during it. But to Zucker, it’s all part of a game plan that has helped boost the network to where it is now — elite media-watchers be damned.